Just over a month since Lexus introduced the beautiful LC 500 and today announces its launch in hybrid version for the Geneva Motor Show. 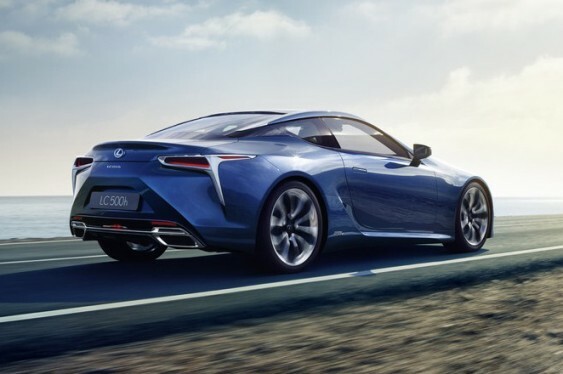 The new model, called LC 500h, include gasoline engine and other electrical engine, which means you can reach the 470 horsepower in total. The petrol engine will be a V6 – cylinder, 3.5 liters and 308 horsepower. The so – called ‘Lexus Multi Stage Hybrid System’ will allow you to get from 0 to 100 km/h in about 4.5 seconds. It is expected that much of the technology used in this car, is transferred to a next luxury Lexus sedan. The trend of using combined gasoline-electric engines, allows manufacturers to comply with stringent emission standards, low approvals of consumption and a very high flexibility, which allows users to give multiple uses for a sports car without losing the soul of sportsmanship and the sound of a classic engine pistons. So far, the hybridization of sports manages many followers and its results are very notable in terms of performance. Lexus has already come a long way in hybrid models, but this will be its first sporty.